How would you answer the question, who are you? Some people say I’m a doctor, a lawyer, a teacher while some say I’m an Arab, Desi, American, a housewife, I’m only a mother, or any number of things. How people describe themselves many times is a reflection of how they feel about themselves and in the case of our children, we want them to radiate high self esteem and feel incredible about who they are! 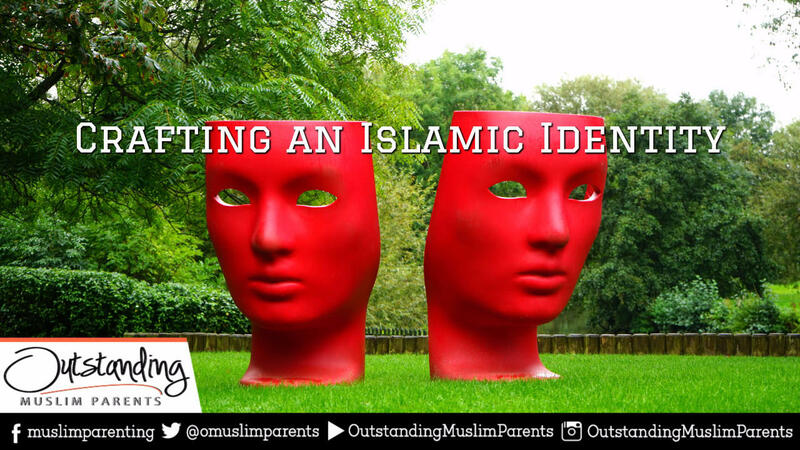 The challenge is how to help craft an identity and strong personality in our children which isn’t as difficult as it sounds if you start early. I think you should become a farmer. No not the kind that toils in a field which is essential to healthy eating but one that toils something more precious because the soil is more valuable. I want you to till your children’s brains and how they view themselves. As parents we see how verbal abuse can damage a person’s perception of themselves and how bullying damages a person’s self-esteem. We can engage our children by building them up. Always remember that there are two ways to have the tallest building, one is to build it strong and tall and the other is to tear down all the other buildings around. I advise you to tell your child how beautiful and intelligent they are over and over keeping in mind that repetition is the mother of learning. It doesn’t matter the stage that your child is in, just try it. In Stage One (1 – 7 yrs old), Stage Two (8 – 13 yrs old), or Stage Three (Teenagers), they love to hear compliments and praise, even if they act like they don’t. As a mother or father, it is true that we enjoy hearing compliments? It helps us to feel appreciated and strengthens our iman when we are grateful to Allah t’ala for that blessing. Let’s take little Aisha for example. She’s in Stage One at 5 years old. Being young she imitates her mother and plays with her headscarves (khimaars). She tries them on and prays while wearing it and she looks so cute! One of the best things you can do when she is exploring is to compliment her and tell her how beautiful she looks and how she is obeying the command of Allah by praying and every other type of compliment you can give which when coupled by hugs and/or kisses creates a strong healthy positive neuro-association in their brains. A great way to help our children cement their belief is to talk to others about them in a positive way where they can hear you. For example sharing with a friend, relative, or spouse you may say how Aisha is so intelligent because she figured out how to complete a math problem or how she’s so creative and artsy because of a drawing she made. This helps breed confidence and before our children know what to think, they borrow our belief in them until they exude it themselves. I call this planting seeds which is the most important part of farming because with no seed there is nothing to cultivate and absolutely no harvest. Our children’s sphere of influence grows rapidly when they turn school age and are around others that have different experiences. In Stage Two (8 – 13 yrs old), as they have more experience around others and use the internet, they have already formed opinions and perceptions. Now that we are planting seeds we must cultivate those seeds by making sure they are properly fed, watered, and allow the sunshine to reach that soil. Constantly reminding our children of their intelligence, beauty, and at the same time challenging them to stretch by doing more or learning more is part of that cultivation. Allowing them enough independence to make mistakes and learn from them while understanding that they are children and not little adults in Stage Two (8 – 13 yrs old). Letting them dress themselves if they desire, teaching them to make up their beds, clean their rooms, wash the dishes, and understand that doing chores is a part of the first great team they are a part of and it’s called family. We must remember that the difficulty with parenting lies with the fact that there is constant conflict with other forces outside of our control whether it be relatives that don’t share your values, people that don’t share our Islamic beliefs, or the media that makes all kinds of filth look attractive. The sad reality is that by the time a child is 18 years old, they have seen an average of 200,000 acts of violence including 40,000 acts of murder which can have a profound impact on human psychology. In every stage of our children’s growth, planting and cultivating is a never-ending process and is essential to the way our children grow their personalities. I’m sure you have recognized that your children have their own personalities along with their list of likes and dislikes which may differ from ours. I use a personality test that I feel is one of the best tools I’ve seen when it comes to human psychology and it’s free to use! It’s called the Briggs-Meyer’s Personality Test and I think everyone should take it in order to discover their personality type. When you understand yourself at a deeper level, it’ll help with all of your relationships especially with your spouse and children. Children 8 years and older can also take the free test at the link at the end of this article.